If you or somebody you know was diagnosed with diabetic ketoacidosis, or kidney failure after using Invokana, you should contact our attorneys immediately for a free case consultation. Please use the form to contact our Defective Drug Litigation Team or call us toll-free 24 hours a day at (888) 210-9693 ext. 2 or 214-390-3189. 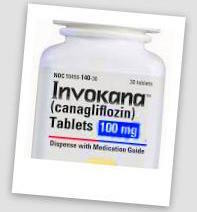 In December 2015, the FDA issued a Safety Communication for all drugs in the SGLT2 inhibitor class, including Invokana, after receiving many reports of patients who developed diabetic ketoacidosis. Patients were advised by the FDA to stop taking Invokana and seek medical attention immediately if they have any symptoms of ketoacidosis, a condition when the body produces high levels of blood acids called ketones. The FDA added new warnings including their most prominent Boxed Warning, to the Invokana drug labels to describe this risk. As patients become aware of the amputee side effects, injured patients are filing product liability lawsuits that claim that Invokana directly caused the amputation of their leg, foot or toes. Developed Invokana Diabetic Ketoacidosis, Kidney Failure or Amputations? If you or somebody you know was diagnosed with diabetic ketoacidosis, or kidney failure after using Invokana, you should contact our attorneys immediately for a free case consultation. Please use the form to contact our Defective Drug Litigation Team or call us toll-free 24 hours a day at (888) 210-9693 ext. 2.